If Kassel is known in Germany for a cultural contribution besides the art fair Documenta, then it’s the legacy of the techno club Aufschwung Ost and its successor, Stammheim (we included them both in our list of Germany’s 25 most historically important nightclubs). Both were located in a former textile factory building called Kulturfabrik Salzmann, which later served mainly as an art space. When Aufschwung Ost opened in 1994, it quickly established a national and international reputation that exceeded those of clubs in other middle-sized cities. The main resident DJs, the late Pierre Blaszczyk (a.k.a. DJ Pierre) and Mark Pecnik (a.k.a. DJ Marky, pictured above at Stammheim), built a dedicated local following with their state-of-the-art techno sound. 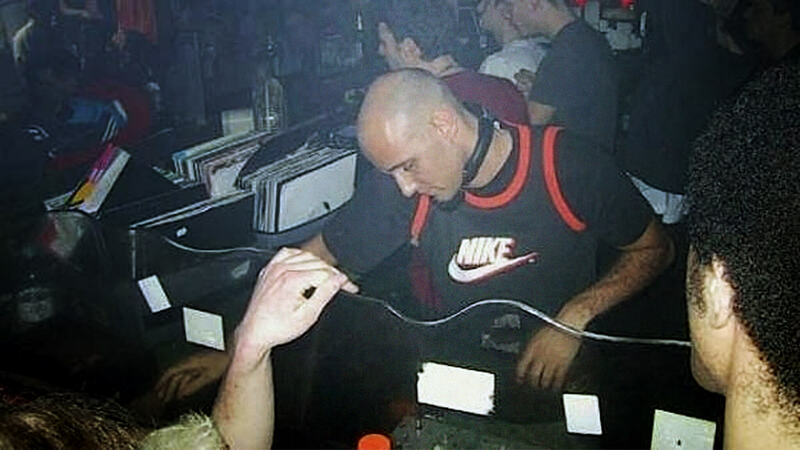 They also managed to pull in every main guest DJ important in the techno scene, propelling Aufschwung Ost to the level of famous clubs in Berlin or Frankfurt—that is, until its lease ran out in 2002 and it had to close. We asked DJ Marky to recall some of the tunes that ruled the floor in both clubs.